A top prosecutor in the sexual assault case against actor and comedian Bill Cosby said she was "filled with awe" after securing a conviction one year after his previous trial ended in a mistrial. Montgomery County Assistant District Attorney Kristen Feden said the guilty verdict on three counts of aggravated indecent assault against the 80-year-old TV icon reflected the bravery of victim Andrea Constand, the other accusers who testified as "prior bad acts" witnesses and the jury in Pennsylvania. "When the verdict was read, I was just filled with awe and so excited and so happy," Feden told CNN in an phone interview one day after Thursday's conviction. "I was so happy for Andrea. I was so proud of her. And I was so happy for victims just everywhere. ... It was a very awesome message to victims." The jury agreed that Cosby drugged and sexually assaulted Constand at his home in a Philadelphia suburb in 2004. At the retrial, five other women testified that Cosby had also drugged and assaulted them decades ago. 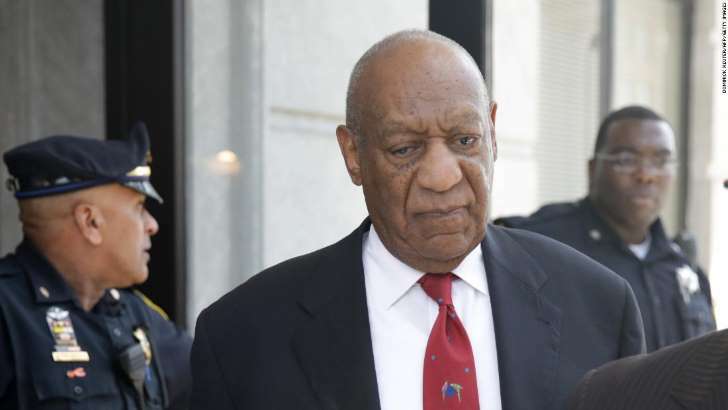 Cosby faces up to 10 years in prison on each count, but he is likely to serve them concurrently. A sentencing hearing before Judge Steven O'Neill has not yet been scheduled. Cosby remains out on bail. Feden said the defense strategy to attack the credibility of Constand and others amounted to character assassination. In closing arguments, she said, she focused on Cosby as the real con artist -- countering the defense team's portrayal of the victim as a gold digger after the defendant's fortune. "They were only just doing the right thing," she said of Constand and the other women. "They were coming forward. They were being brave. They were disclosing very personal details about their personal life and, specifically, about a crime that was committed against them." Feden said she respected O'Neill's decision to allow Cosby to remain on home confinement even though prosecutors asked that his bail be revoked. O'Neill ruled that Cosby should not leave his home. Since Cosby has homes in multiple states, the judge noted that if he does arrange with the appropriate offices to stay in a home in another state he must be fitted with a GPS tracking device before leaving. Constand initially told police about the assault in 2005, a year after it occurred. Former Montgomery County District Attorney Bruce Castor at the time decided not to file charges in the case. In 2006, Constand and Cosby settled a civil lawsuit for $3.38 million. After Thursday's verdict, District Attorney Kevin Steele apologized to Constand on behalf of the prosecutor's office for not filing charges. "It wasn't prosecuted back then, but was prosecuted now, and we were able to obtain a conviction," said Feden, who did not work for the office at the time. "I do apologize to Andrea that justice took so long for her to get." The case against a man once known as "America's Dad" centered on testimony from Constand, a former employee with Temple University women's basketball team. She testified that Cosby, a powerful trustee at Temple, drugged her and sexually assaulted her when she visited his home to ask for career advice 14 years ago.